The weather in Wales can be very up and down. Be sure to pick a nice sunny day so you can get the best out of the beach. Summer is understandably ideal! If you are interested in swimming, make sure you visit in the summer months. But even then, it might be too cold to jump in the water. Enjoy a simple yet rewarding trip to one of the many family-friendly Wales beaches. 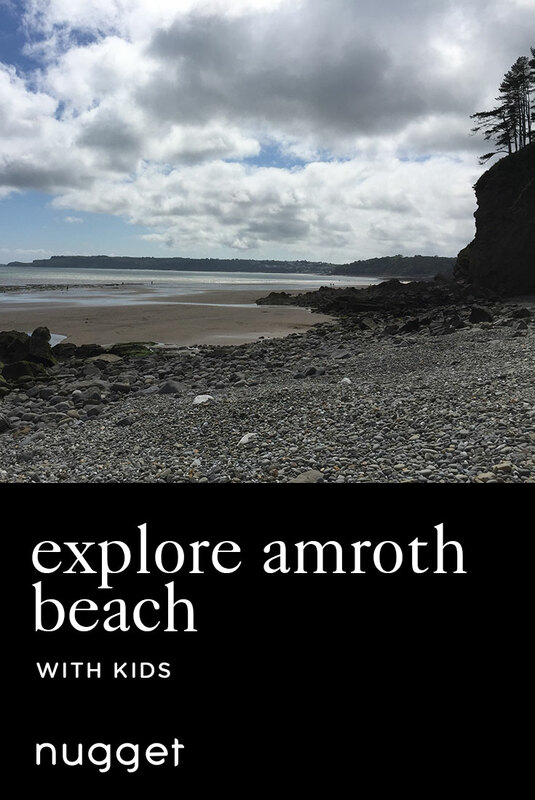 Spend a couple of hours splashing, relaxing and exploring the rock pools along Amroth Beach, one of the best Pembrokeshire beaches, whilst taking in the magnificent coastline. Then pop on over to Smugglers Bar and Grill for lunch. Enjoy tasty and affordable food while your kids play at the pub’s large indoor adventure playground. This day is ideal for a quiet, slow-paced mini-adventure that kids will particularly enjoy. Amroth Beach is one of the best Wales beaches and it is a wonderful beach for families. It’s a large, flat, sandy beach with plenty of rock pools to check out. The tides in Wales are quite significant, so once they go out, you are left with miles of sand to play and explore. Our 3-year-old daughter loved running down the beach and splashing through all the pools. Even in summer, it does not get particularly warm for real swimming. DIRECTIONS Amroth Beach, one of the best Pembrokeshire beaches, is located on Coed Mor and is very much accessible if you have your own car. There is not much parking on the street front to the beach, but there is a parking area behind the main street. TIP Although very calm, Amroth beach is not patrolled. Be sure to take precautions if you are brave enough to go swimming. Smugglers Bar and Grill is very reasonably priced and have affordable kids meals as well. This is just the ideal place for lunch, with tasty and filling pub food as well as a refurbished indoor kids adventure playground. The playground is the real highlight of the visit and will entertain your kids while you sit and relax over a drink or a meal. DIRECTIONS Smugglers Bar and Grill is located directly opposite of the main entrance to Amroth beach. You can't miss it! TIP The meals at Smugglers Bar and Grill are quite large so you could share instead of ordering a kids meal if your child is young.